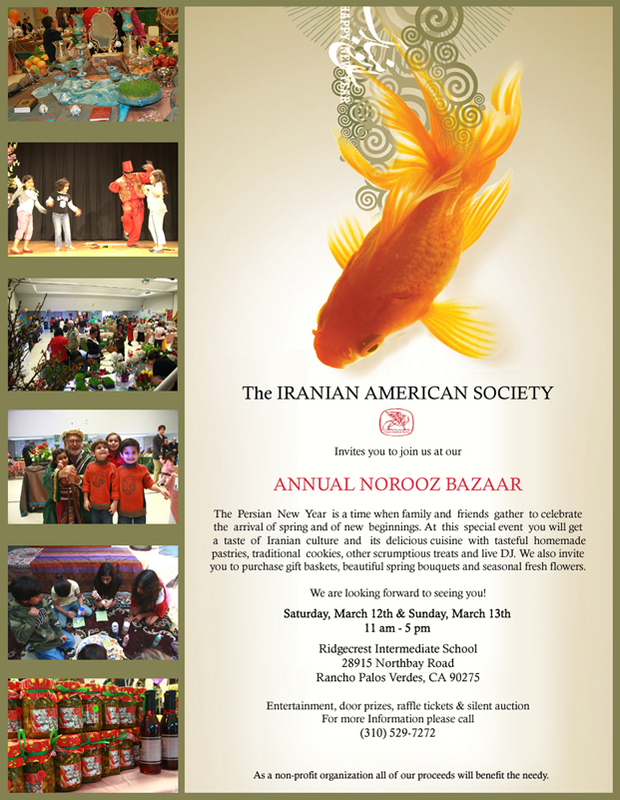 This Saturday, March 12th and Sunday March 13th the yearly Norouz Bazaar will take place in Palos Verdes. 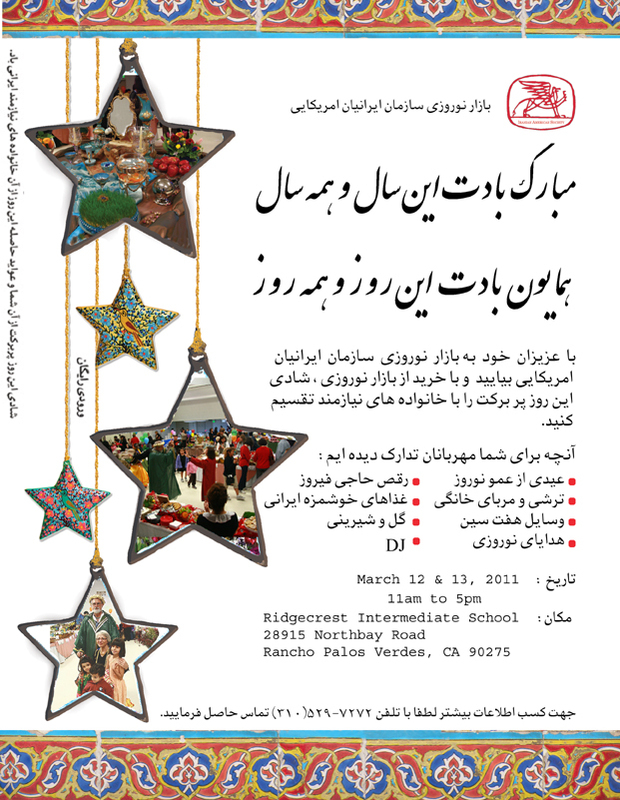 The two day Bazaar is put together by the Iranian American Society of Palos Verdes. The ladies of the group have been working very hard to prepare for this event. Just like previous years there will be delicious homemade Torshi, various jams, and sweets. Proceeds from the Bazaar will be donated to Iranian individuals and families in need. This year I will be one of the vendors! I am very excited to finally unveil Liquid Wisdom, my own line of homemade teas! Additionally, I will have greeting cards for sell as well. My friend Cathy from Mishmoshbox.com will also be joining me with fabulous gifts for children for Norouz and amazing vintage jewelry. To make things ever more exciting, my friend Homeyra who is the chair of the Bazaar has asked me to come up with a recipe for cookies that would appeal to a Persian palate to be sold at the Bazaar. I have been working on perfecting said cookies and today they are being made folks!!! 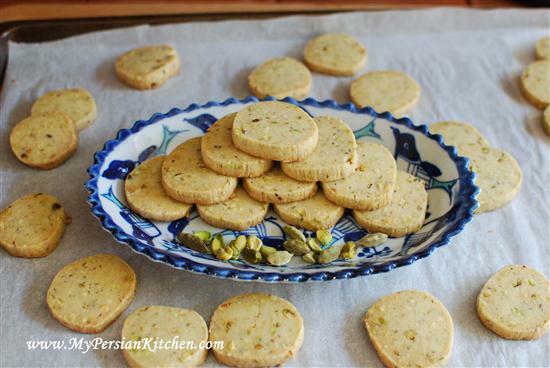 All I can say for now is heaven is where pistachios and cardamom meet butter! So grab your friends and family and come out for some shopping. Everything you need for Haft Seen or Norouz will be available to purchase. There will also be other vendors with some fabulous items for purchase!! AND there will be some kabob made on the premises!! Lee, thank you for sharing the love!! !